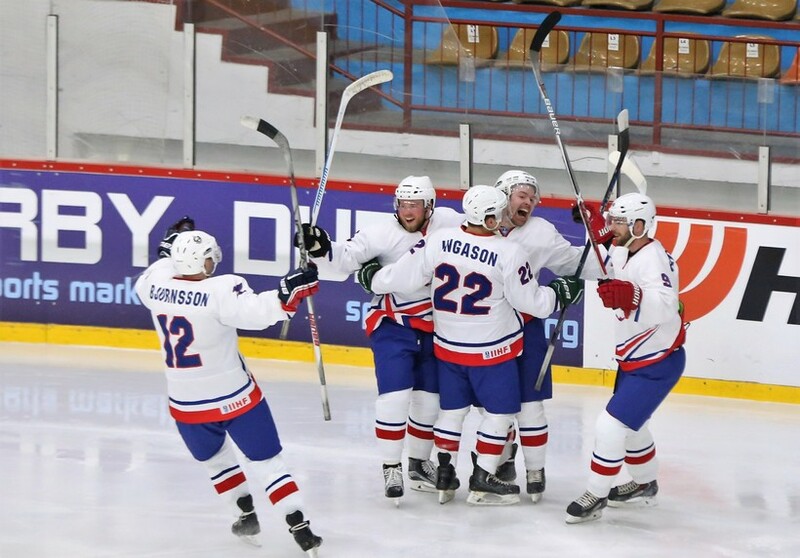 Icelandic National Men’s Team in ice hockey just won their first match in their group against Spain, in the World Championship Div II, in Galati, Romania. The Icelandic team started as well as they possibly could, after only 7 seconds Pétur Maack scored a goal. Spain evened the score only five minutes later, which set the tone for the rest of the match, quite eventful. Only in the first part Iceland got three 2 minute suspensions and Spain one. In the eight minute, Iceland took the lead again. Jóhann Már Leifsson scored the goal. The second part wasn’t as eventful. At the end of it Spain managed to score another goal, during the only suspension in the Icelandic team in that part. The Icelandic team didn’t take long, and evened the score after only a few minutes. Both team battled hard in the last part of the game, but now goal was scored and Iceland won the game 3:2. A dream start for the Icelandic team in the World Championship. Forget about the HÚ! Icelanders used to celebrate the Men's National Footbal team last summer, the hockey team sings to celebrate their victories!